Do you want to improve your ranking and engagement to convert more business? Between paid advertising, local listings and SEO you can take up real estate in 3 places when your customers are searching for you! We will show you how to rank organically and lead users down a path toward a conversion. Everyone has heard the term Search Engine Optimization or "SEO" but it catches a bad rep due to some shady individuals who promise the world and don't deliver. Here are some ways you can almost instantly improve your ranking. Make sure that you add ALT tags to images. This is the text that is read aloud if someone is visually disabled but it is also how search engines determine what an image is about. So always use the alt attribute in images, use it to put your main focus keyword and make sure your file names have spaces or dashes and not underscores. Remember when you learned how to write an essay in grade school? Your content should be similar to that approach, it should be seen as educational and informative. Regardless of who you talk to in the industry, content will always be king. Start with a Heading 1 tag (H1) and a supporting paragraph to let you users know what to expect. Following this you use the essay approach where you have a Heading 2 (H2) and one or two paragraphs followed by some Heading 3 tags (h3). Feel free to add between 1 - 3 H2 and H3 tags. If you are using WordPress or another popular Content Management System you will see these listed as Heading 1, Heading 2, Heading 3, etc. This part should go with out saying but we will say it anyway, make sure your website is mobile friendly. According to the latest research, most browsing is now down from mobile devices. Think about it, if you are waiting in line or at a traffic light you probably always reach for your phone. Ever since April of 2016, Google has made a push for ranking mobile websites higher and even splitting up its search results to display mobile friendly websites first when a user a searching from a mobile device. Are You Using Rich Media On Your Pages? In addition to your content, you should also embed rich media. Rich media such as videos, audio files, pod casts and live streams can catch your users attention and adds a higher chance of conversion. Think about it, we are more likely to watch a short video than read a lot of content. We would also rather listen to a pod cast while we are multi tasking. This not only builds trust in your brand but increases your SEO. Not only should you bold, italicize and underline your semantic keywords, you should have a linking strategy. Start by linking other pages keywords to the page. Following that you need to develop a strategy for how you can obtain links from other (industry specific) websites using your keywords. These are also known as backlinks. Backlinks from high authority, relevant domains are playing a larger role in ranking. An example of a back linking strategy could be writing a guest post for an industry specific blog or university in exchange for brief plug with a link back to your site. Recently there has been a major push for a "safer web". Google has reported that it shows favor to websites that have an SSL certificate installed when it comes to ranking. Now for users that use Google Chrome (there are a lot of them) there will now be a notification to the user that your website is not secure. If your website is considered secure the user receives a notification your website is secure and has the comfort of knowing their information is secure. Go to the major search engines and find out how to create a local listing. Follow the steps to create your business listing. If you have more than one location you will need to add multiple locations under your account. Complete your profile and select your categories. Add all of the extras you can such as social media, videos, links, etc. Once you verify your listing, build a campaign for generating reviews from your customers so that your listing becomes helpful for others searching for your services. Can you see what makes the after more successful? Because we read from top to bottom and left to right, immediately after the user lands on the (after) website their eyes will fall on the logo and then immediately on the latest promotion slide. Following that the eyes will browse the other items in the header before scrolling down to the other call to actions leading them to different sections of the website. Notice how on the after version we are creating a path for users to follow, in this case it could be browsing by mattresses, collections, appliances, etc. Depending on which selection the user chooses they are led down a path specific to what they are looking for. In the before version there are no clear call to actions. The call to actions in the before are email offers, financing and "full service". Because this clients analytics showed that most people were interested in browsing by type, we had a clear definition on what to make available on the homepage to increase the bounce rate (how long users stay on site). On our version of this website when the user first visits the website they are prompted to share their location. If the user accepts to share their location our version automagically chooses the closest location to the user so the user can browse that locations brands and products. While it is not visible in these mock ups, the before menu has standard drop down items when you hover over the menu items. Because this company has several categories, products and brands, our version has drop downs as "mega menus" meaning there is a large menu broken down by categories, brand and products. Similar to what you would see on Amazon.com when browsing their online store. The after version of this website is a full width responsive website. This means if users browse the website from a mobile device the website scales its dimensions to fit whatever device it is being viewed on. But how do I know what I need to do? We want to make it easy for you so for a limited time we will give you a complimentary website audit at no charge, no strings attached. Why are we doing this? Simple, we want you to succeed! Even if you have a staff member capable of taking care of these items, we want to make sure you have the information you need to focus on your current websites biggest issues. If you need some help with these tasks we are happy to help. Ok But Who Are We and What Do We Get Out OF This? Our Vision is to bridge the gap between our clients and their agency by delivering real results based on education, transparency and trust. Derek Schmidt, the president of DesignLoud, started the agency in 2011. At the time there was a serious gap in the relationships between companies and their agencies. Derek saw an opportunity to blend his passion for helping businesses and offering transparent services to those businesses that delivered results. 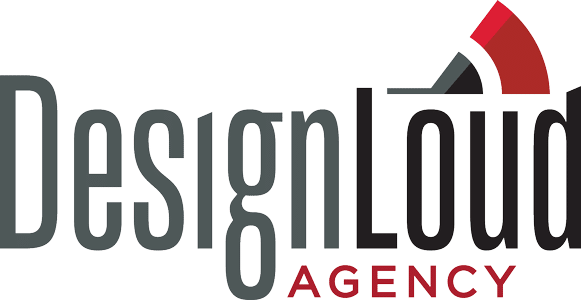 Since the time of its inception, DesignLoud has grown to be an agency that is fun, creative and brings on some of the best talent in the field that shares the agencies vision. We reward our team based on the performance of our clients campaigns. This means it is in our best interest to deliver real results to our clients. Our team is passionate about building your business and improving your operations through integrated technologies. Let's build a website that leads users down a path to take an action on your website. Your marketing should engage your community while building your brand. Keeping track posts, reviews and ads on your social media accounts can be cumbersome. What good is a website or marketing plan if they do not follow a strategy?